The improving economy pushed sales of new homes nationwide close to a nine-year high in July. New-home sales rose in July to their highest rate in nearly nine years, as cheap credit and a sustained economic recovery stoked demand among house-hunters across the country. Sales of new single-family homes increased 12.4 percent last month over June to a seasonally adjusted annual rate of 654,000 units, their highest since October 2007, the U.S. Commerce Department said Tuesday. Sales are picking up as household incomes - and credit scores - recover from the recession, said economist Kevin Gillen, who produces a quarterly housing report for Meyers Research and Drexel University's Lindy Institute for Urban Innovation. 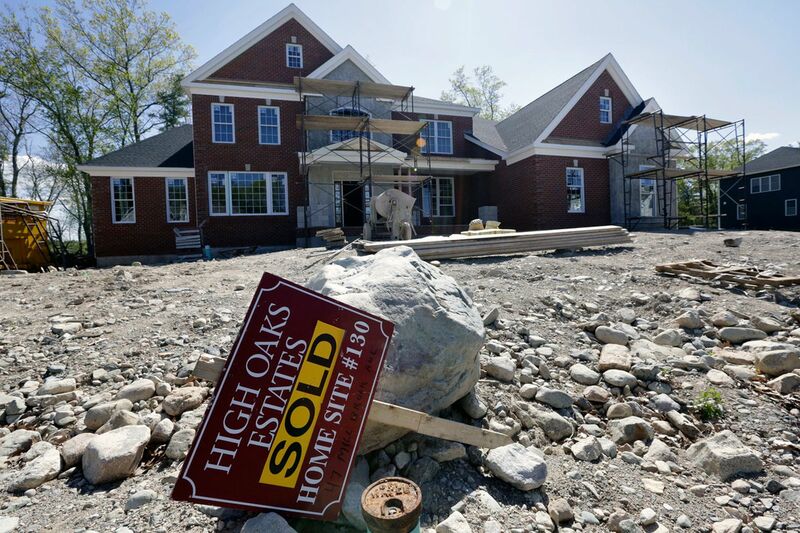 Those brightening economic prospects are helping more buyers snap up newly built houses, which are typically more expensive than the previously owned homes that have been dominating the market, Gillen said Tuesday. Meanwhile, he said, households that already own properties are finally seeing their worth return to pre-recession levels, enabling some to step up into new homes. "Today's new-home buyers are yesterday's existing-home owners," Gillen said. "There's a lot of pent-up demand." Throughout the northeastern United States, new homes sold at an adjusted annual rate of 35,000 units, up 40 percent from June but down from April's level of 40,000 units, the highest since January 2010, according to the Commerce Department. The "adjusted annual rate" is a measure of how many homes would sell over a 12-month period at the pace observed during a subject month. The data do not track the performance of the Philadelphia market specifically, but area real estate agents say they're seeing new homes sell briskly here, too. "Often times, homes are going under contract while they're being built," said Chris Somers, owner of Re/Max Access in Northern Liberties. "They're selling fast, and the inventory is low." The seasonally adjusted estimate of new houses for sale nationwide at the end of July was 233,000, a 4.3-month supply at the current sales pace, according to the Commerce Department. That's down from 4.9 months in June. The median sales price of new houses sold in the U.S. in July was $294,600, down 0.5 percent from July 2015. Last month's solid sales numbers continue a trend that's been bolstering the performance of Horsham-based Toll Bros., which on Tuesday reported net income of $105.5 million in its fiscal third quarter, up 58 percent from a year earlier. Toll, the country's biggest luxury-home builder, delivered 1,507 homes during the three-month period ended July 31, up 6 percent from a year earlier. The average price of houses delivered by Toll was $843,000, a 16 percent increase from $724,000 during the year-ago period.